Your body has a blueprint for healing. 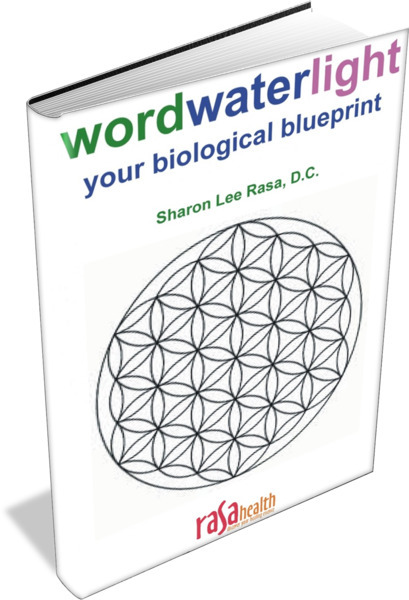 Your biological blueprint has the answer! Well researched, documented, practiced and understood in countries such as Germany and Russia, the U. S. has been slow to respond. Many already understand these patterns and work with the body as a natural, self-regulating, self-organized and self-healing system. Now you can too! Your biological blueprint is the nature of living matter and you can access it through wordwaterlight: Your Biological Blueprint. What is the natural healing essence available to each and every one of us and how do we access it – Why is Autonomic Response Testing such a valuable tool? If you are already healthy, this knowledge will help you stay that way! If you are experiencing sickness, this knowledge will help you get well and stay well! Understand the nature of living matter. Utilize nature’s prescription for total health. "As a practitioner Dr. Rasa has just made my work easier. Now I can offer my patients this informative and educational book and valuable in-office visits can be spent treating, not explaining!" "Finally, someone has made sense out of all the treatments I have received from biological doctors,homeopaths, acupuncturists and integrative physicians. Now, I see how they all work together"